Mr. Amjad Ali Mohammad is one of the best Psychologists in Hanamkonda, Warangal and Kazipet. He has helped numerous patients in his 08 years of experience as a Psychologist. He is a Masters in Psychology and PG Diploma in Guidance and Counseling, in Psychology, PG Diploma in Business Management, Bachelors Medical Biochemistry. You can consult Mr. Amjad Ali Mohammad at Impulse Psychological Counseling & Guidance Center in Warangal. Don't wait in a queue, book an instant appointment online with Mr. Amjad Ali Mohammad on Lybrate.com. 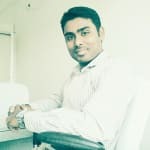 Lybrate.com has an excellent community of Psychologists in India. You will find Psychologists with more than 33 years of experience on Lybrate.com. You can find Psychologists online in Warangal and from across India. View the profile of Health specialists and their reviews from other patients to make an informed decision. Hello, I am very depressed since 5 months. Kisi bhi chij me man nhi lagta sirf khati hu TV dekhti hu bahut gabraahat hota hai bechaini hoti hai na kisi se baat krne ka man krta hai or na kahi Jane ka ya kuch krne ka. I feel very hopeless and helpless . I don't know what to do. Please help me. Dear client as you mentioned in your query you are watching tv and eating. You're not interested in any other work, you are feeling depressed, hopeless, helpless. My first advise for you is to live your life fully, there are many good things in this world, life is so beautiful, enjoy it fully, spend your time with family members and friends make new friends, join any personality development classes, or any new learning classes in which you are interested, avoid watching tv alone. Watch some entertainment programs along with family members, fix a limited time for tv. Practice meditation do physical exercise/ activities regularly then you will understand how many things you're missed. Don't be upset/ disappointed at least now enjoy your life fully. All the best. Hi, I was with my aunt & uncle over a month and I have seen there my uncle treat my aunt like an animal he beat her regularly that in front of my eyes with belts wire , charger of laptop etc my aunt somehow managed me to send out me my home now I am in my home but since the things that I seen there regularly comes in mind I didn't even sleep sometimes what should I do or please suggest me advice me deeply I never expected anything that my Uncle did with my aunt there I got very much depressed and mentally ill please suggest me what should I do what should my parents do and my family. Dear lybrate-user, very sad! your uncle beating aunt violently, it is very bad, he might be having misunderstanding with your aunt, you haven't mentioned why he is showing his violent nature towards your aunt. Any how his sadistic actions indicating that he is facing psychological problems either your uncle is not happy with your aunt, or they have conflicts. As you are worried about aunt inform your parents amiable manner so as elders they can find solution to their problems coming to you, you have shifted to your home it is good, otherwise facing these situations in this age may hamper your studies, career and future. To overcome from this situation you speak to your parents and elders to find the solution of their problem by sitting together solve the problem with discussion you just relax and try to forget the what was happened try to shift your self in making your self busy in your studies and career. Practice meditation regularly meet your positive friends, have good time with them read positive, motivational books after coming out from the situation concentrate on your career/ studies all the best! I lost somebody who very close to me I feel so depressed so please any suggestions for me. Dear losing some one closed is very painful for any one, I can understand your feelings, but life doesn't stop's their, we have to move forward in life. Coming to the point, you're depressed first you practice relaxing techniques like doing meditation everyday spend your time with family members or other close friends, talk about positive events of you life engage your self in any social service or learn any new thing so you can make yourself busy have a small tour if possible, visit any favorite place be positive about your future, do physical exercise so you can strengthen yourself all the best! I am 54 years old male, suffering from depression and sleeplessness. What should I do ? Mr. Arvind ji my 1st advise is for you to start physical exercise, practice meditation daily, 2nd try to find out the reasons for depression, (as you're not mentioned in your query) and its solution. Change your diet to natural, antidepressant food. 'Attention Deficit Hyperactivity Disorder' is difficult to put up with and life-long oral medication is often deemed “necessary” for those diagnosed with ADHD. People with ADHD have differences in the parts of the brain that control attention and activity leading to complete inability to focus on certain subjects and tasks. ADHD can affect young children or teenagers and can carry on well into adulthood. 1) Forget about Artificial Flavorings, Food Colorings and Preservatives – These often cause forgetfulness, stammering and difficulty in organizing things. 2) Avoid Foods that trigger off Allergy - The Mayo Clinic has conducted extensive research into how avoiding certain allergy causing foods helps improve behavioral issues in children diagnosed with ADHD. Foods such as chocolate, eggs and those which contain salicylates such as grapes, tomatoes, prunes, peaches, berries, cider, chilli powder (yes, that yummy spicy chicken curry is not going to help!) and even apples can cause allergies which can trigger off certain key ADHD problematic traits such as sleep disorders, irritability over prolonged periods and inability to grasp simple everyday communication. 3) Try Massage, Yoga or Tai-Chi! - Deep tissue massage and hot stone therapy have been documented to induce a deeply relaxed state of mind in an individual wherein the brain actually regulates chemical reproduction. The deep breathing exercises along with the ‘balanced’ movements of the Ta-Chi help with neurological conditioning along with increased supply of oxygen to every part of the brain which again helps regulate brain activity. Patients who undertook these activities cited feeling “less anxious” going about their daily routine and they noted “day dreaming much less” while staying connected to reality with more confidence and self-awareness. 4) Try some supplements - Certain Naturopaths believe that herbs like ginkgo, ginseng, and passionflower also help calm hyperactivity in both children as well as adults diagnosed with ADHD. In certain cases, supplements such as Zinc, L-carnitine, Vitamin B6 and Magnesium have known to help manage the condition. However, please note that using supplements without a doctor’s supervision can be dangerous — particularly in children. Please consult your doctor before trying any of the above mentioned alternative therapies. 6) Learn To Relax - Switch off the idiot box at least an hour before bedtime. Establish a slow luxurious bed time routine which could include relaxing rituals such as soaking one’s feet into warm water with some bath salts mixed with Epson salt. Adopting a holistic lifestyle can go a long way in helping successfully combat the effects of ADHD.